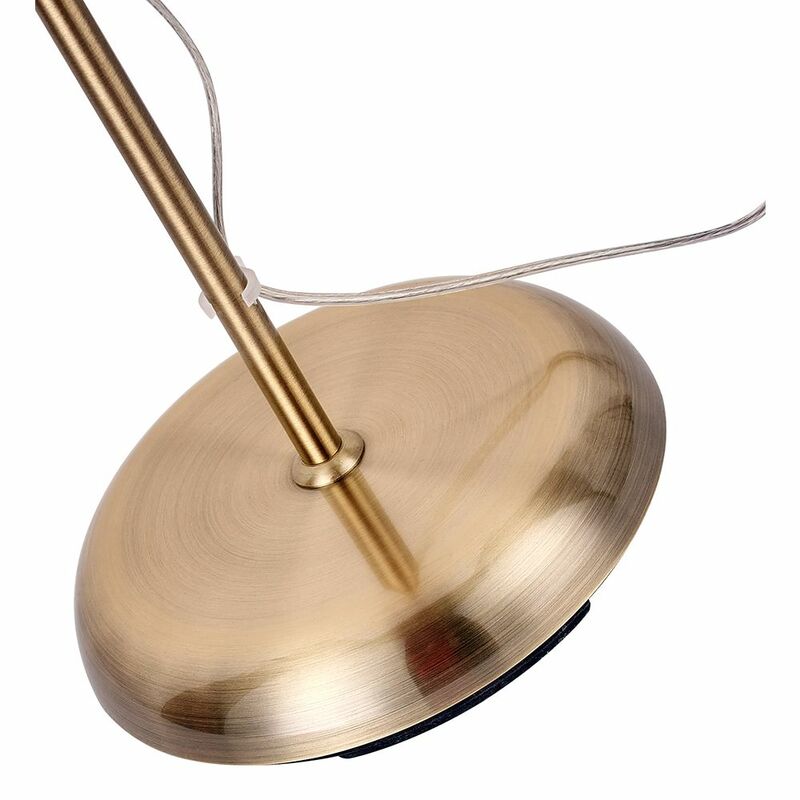 Popular and efficient antique brass metal mother and child floor uplighter lamp. 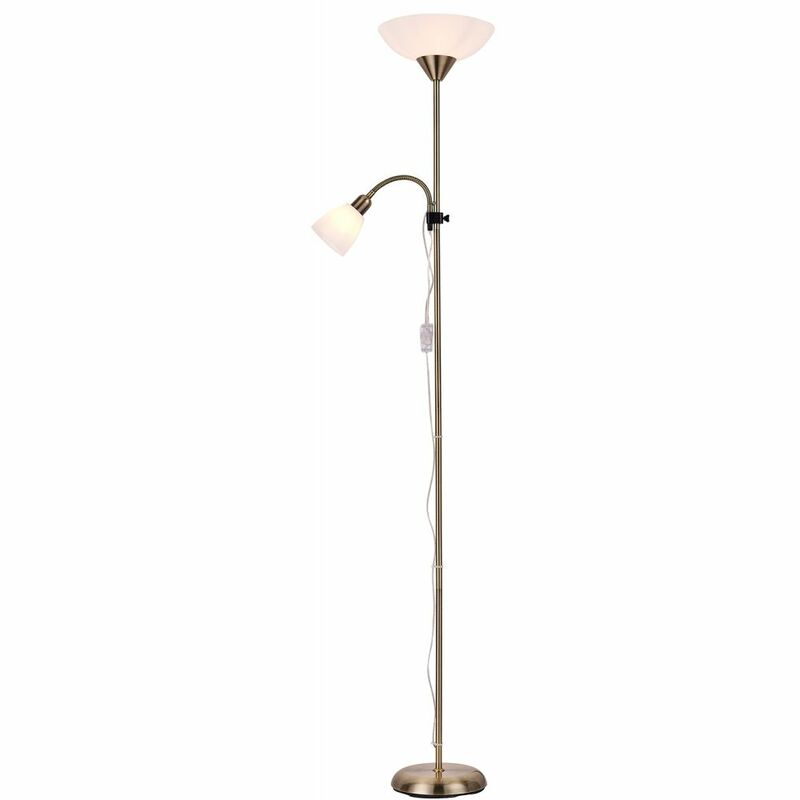 Includes fully adjustable reading arm. 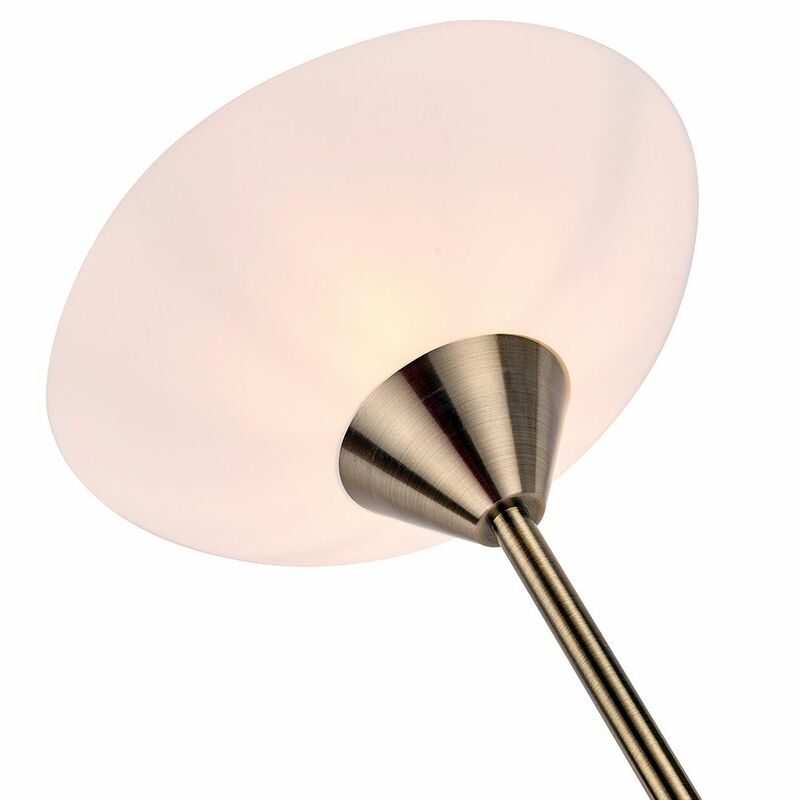 Both opal white shades are made of polycarbonate. 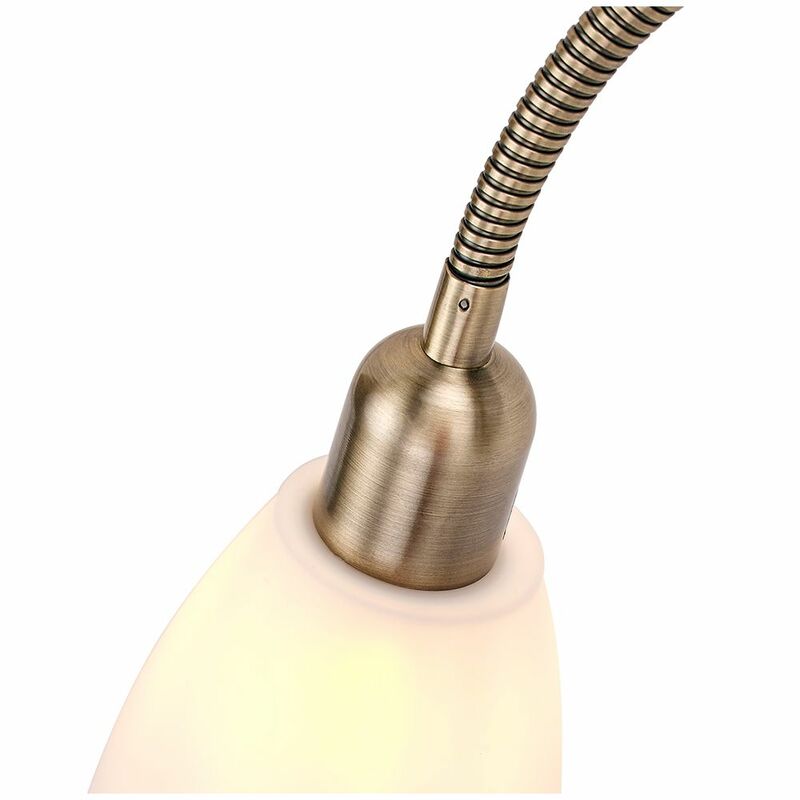 Features hanging cable inline double switch, one controlling the main bulb and the other for the reading arm bulb. Requires 1 x ES 60watt bulb and 1 x SES 40watt bulb. LED and low enery bulbs can be used if desired. 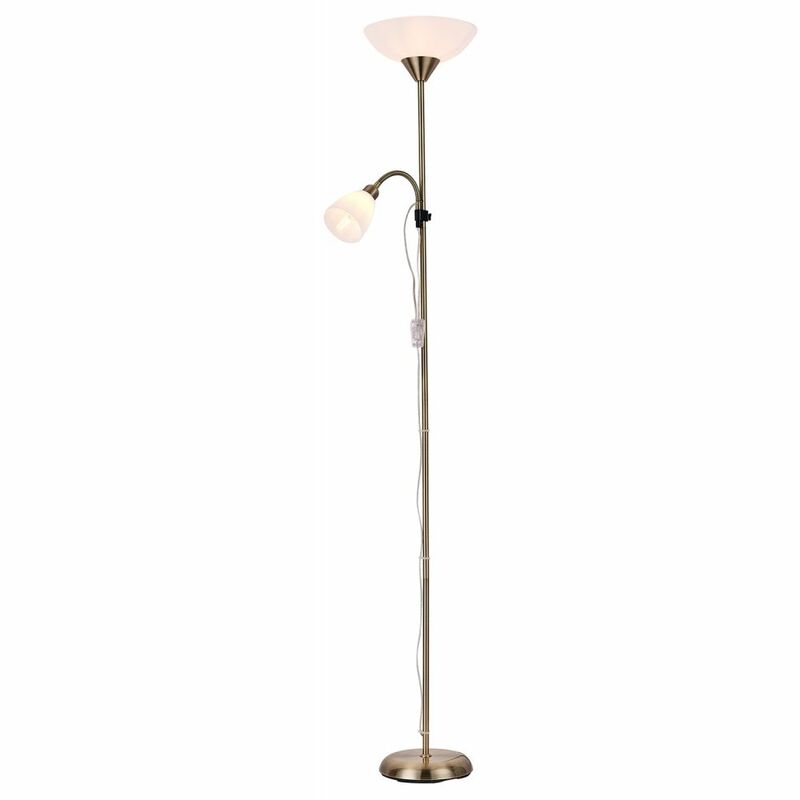 The lamp has a height of 176cm and a shade diameter of 28cm.